My son asked me if I could make a pedal board to connect to his laptop to use with his synth software, so that he can switch loops while performing -- or something musical like that. Fortunately for him he does not get his musical ability from his Dad. * A USB keyboard that you do not mind destroying. 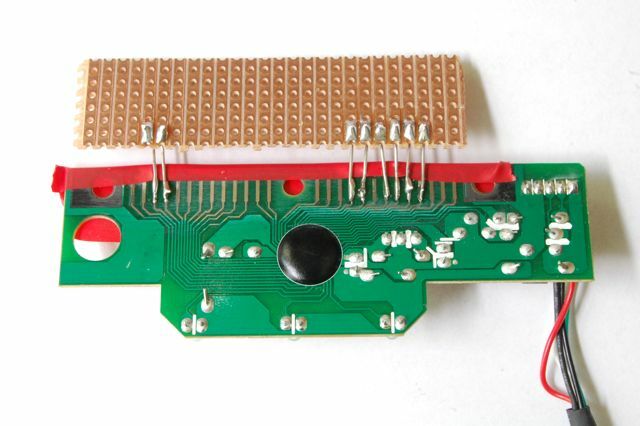 The connectors at the top normally press against the conductive plastic of the keyboard connections and were coated with some kind of conductive polymer. So, to be able to solder them, I rubbed them with glass paper, to bring up the raw copper. 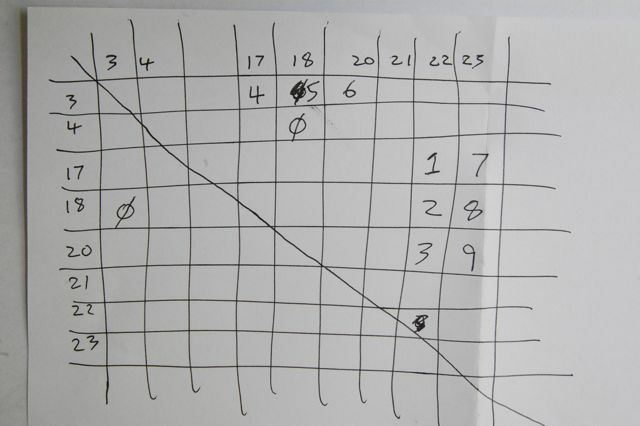 There then followed the tedious problem of working out how to simulate the pressing of one of the keys '0' to '9'. 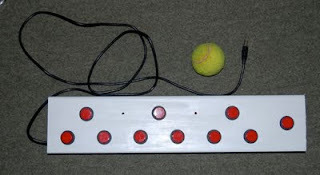 The keys are arranged in a matrix, so connecting the right row to the right column would simulate a press. 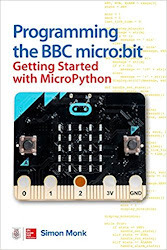 But, you do not want to accidentally connect one row to another, so rather than experiment with a wire to find out the combination that simulated a digit, I used a 1K resistor to test connecting two points together. 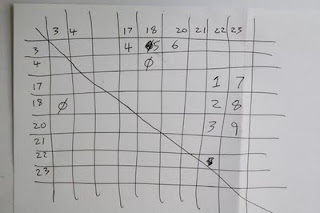 To keep track of which combinations produced the desired results, I made up a matrix, assigning each contact a number. With the controller connected to my computer and a word processor open, every time I got a digit by connecting two of the connections with a resistor, I added it to the table. So, connecting the resistor between pins 22 and 17 caused the digit '1' to appear on the screen. [ignore the rogue 0 to the left]. This is not actually as tedious as it sounds, you will rapidly home in on clusters of combinations that work. 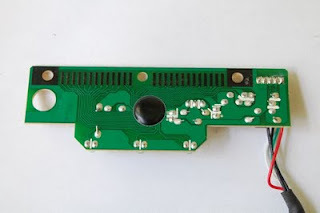 There is not enough room to solder the leads for the switches directly onto the connectors on the controller, so I found a bit of stripboard and carried the connections across. Using the matrix as a guide, I soldered up leads to the spade terminals and to the appropriate connections on the stripboard. Loosely attaching the switches, I tested them all before fitting them into the box. 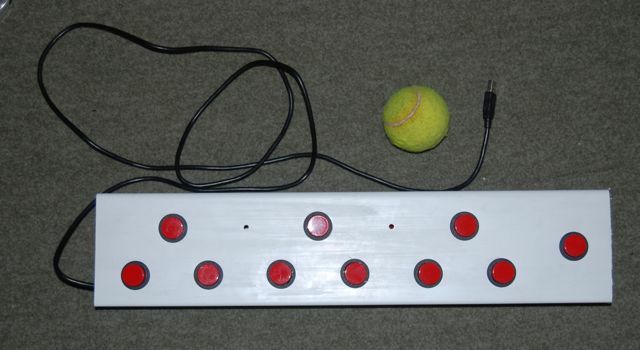 The box is made from a length of ventilation ducting with holes drilled for the switches. There now follows the tricky task of threading the wires through to the appropriate holes in the box. Labelling each pair of wires and using a stronger guide wire to pull the wires through helped with this. All that remains is to reattach the switches, test again and then push all the switches into the holes. The tennis ball is just for scale. Have fun and post me pictures if you have a go for yourself. I'm always interested in ideas for version 2! Very good innovation. I'm gonna try it because I think it's cool. Should make it work. But however the pictures of the back board is not clear can you please show another picture of that part.? Hello, I love reading through your blog, I wanted to leave a little comment to support you and wish you a good continuation. Wish you best of luck for all your best efforts. 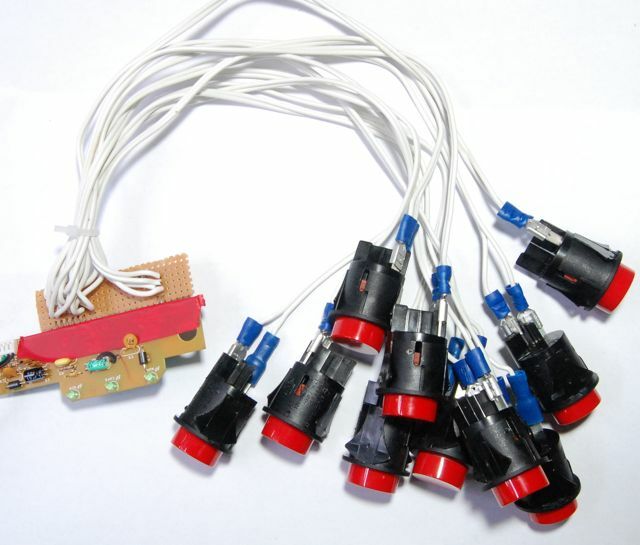 soldering wire manufacturers Delhi, soldering wire suppliers India. Hi there. Nice blog. You have shared useful information. Keep up the good work! This blog is really interesting and gives good details. aluminium soldering flux , soldering wires.